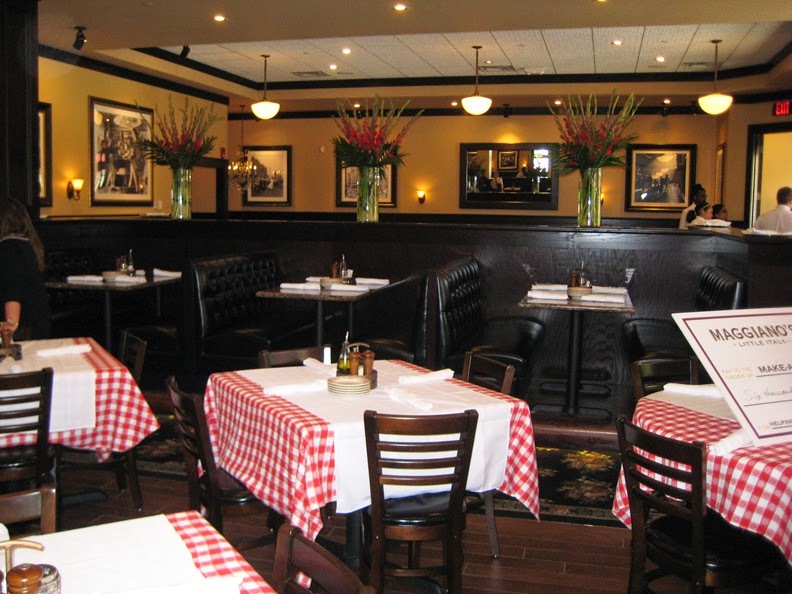 My family has long been a fan of Maggiano's, an Italian restaurant chain. Up to recently, the closest location was in Tyson's Corner. It's not exactly nearby, so a meal at the restaurant was more of a pilgrimage than a simple dinner out. Last year, a branch opened in Annapolis, and recently, another opened at the expanded Mall in Columbia. 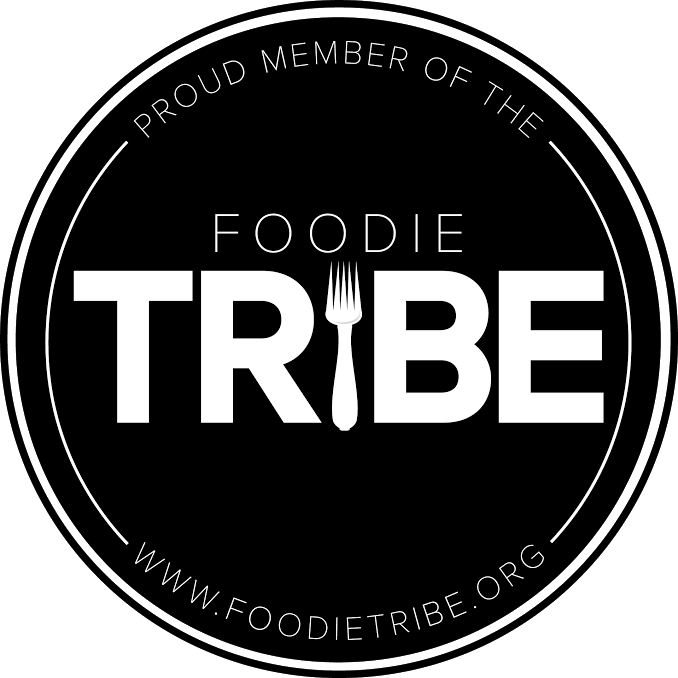 Both the menu and premises are modeled after old-fashioned Little Italy-style restaurants, incorporating tiled floors, checkered tablecloths, and homey pasta dishes into a comfortable modern establishment. On the restaurant's opening day, we were invited to witness the braided pasta "ribbon"-cutting ceremony before indulging in a complimentary multi-course family-style meal. 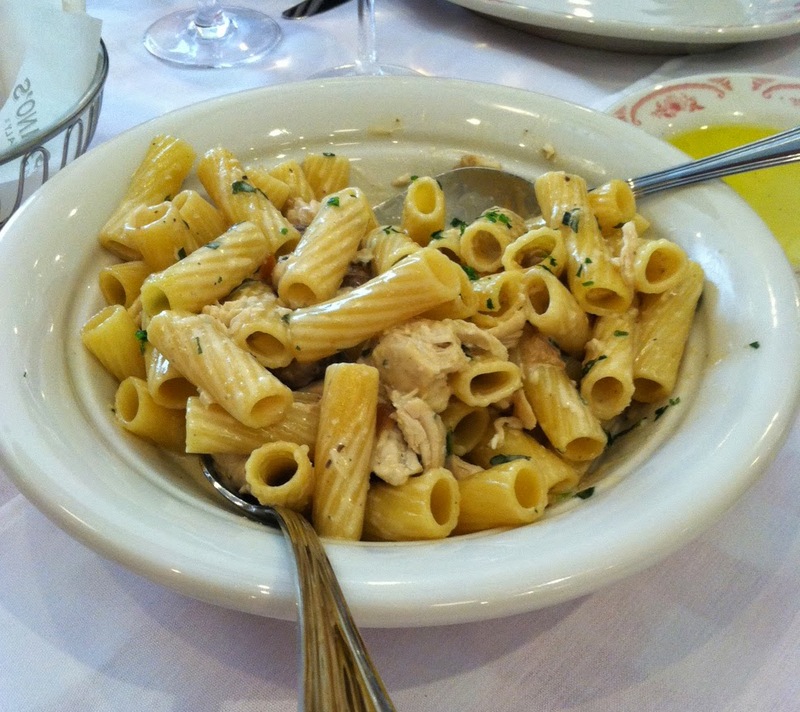 While the menu offers tons of lovely a la carte dishes, family-style is really the way to go at Maggiano's. 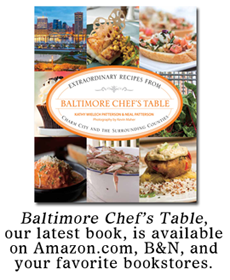 There are three price ranges, for Light, Classic, and Chef's Choice menus. We had a combination of all three types of dishes in our tasting, but the format was Classic (three appetizers, four main courses, two desserts). 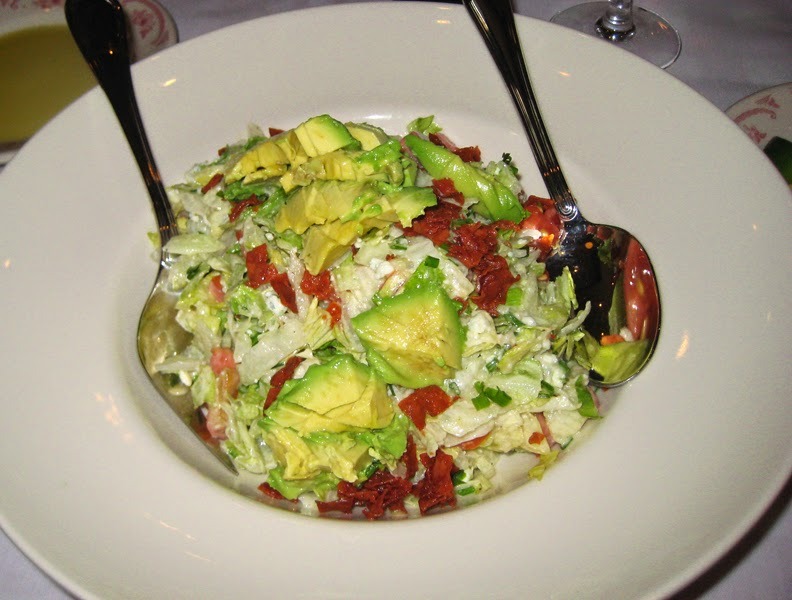 We started out with the Chopped Salad, which included iceberg lettuce, diced tomatoes, crumbled bleu cheese, avocado, and crispy prosciutto, all tossed with the lightly sweet signature house dressing. My usual favorite salad is the Maggiano's, which swaps out the avocado and tomatoes for some red onion, but I enjoyed the additional creaminess of the avocado. I'm a sucker for a good chopped salad anyway, so it was hard to go wrong here. It was also hard not to eat much more of it (that's actually a large multi-serving bowl in the photo) but we knew there was plenty food a-coming. Next up were crab cakes, panko coated and served with a tomato aioli and an arugula salad. 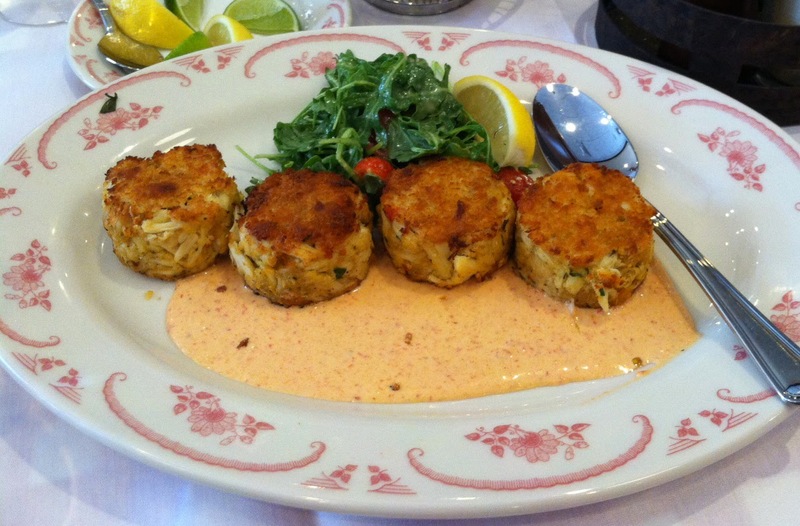 It's pretty rare that chain restaurants get crab cakes right--this is Maryland, after all, and we are picky. But apart from the addition of bell pepper and their somewhat unnatural puck-like shape, I'd say these were pretty good. Not like homemade, but good. 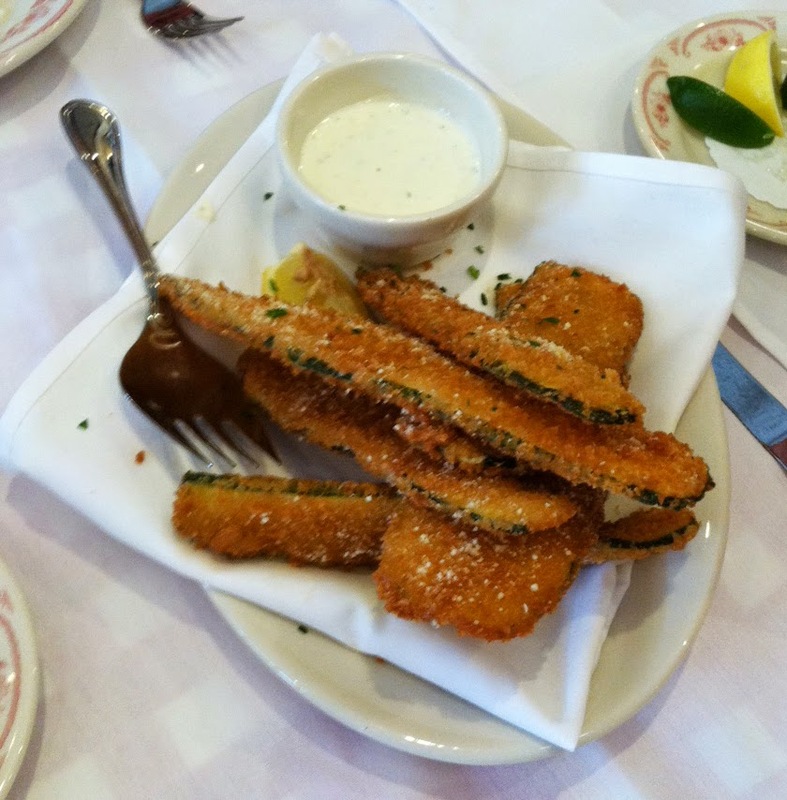 Even better were the Zucchini Fritte, strips of zucchini breaded in panko and fried just long enough to brown the coating but not make the squash mushy. They came with a lemon aioli dipping sauce. Hard to beat fried food + mayonnaise. On to entrees. Two we tasted were pasta dishes, the Rigatoni "D", with roasted chicken, mushrooms, and caramelized onions in a Marsala cream sauce. Um...yum. Rich and creamy, but not insanely-so. Then there were massive platters of lasagna. Assembled to order, this dish tasted a lot like the homemade lasagna I made last Christmas. The filling had both beef and Italian sausage layered with pasta sheets and ricotta cheese and lots of flavorful sauce. We also tried the Salmon Oscar, asiago- and herb-crusted salmon fillets topped with a garlic truffle cream sauce, asparagus, sundried tomatoes, and crab, with a side of orzo. Again, rich and creamy without being over-the-top. 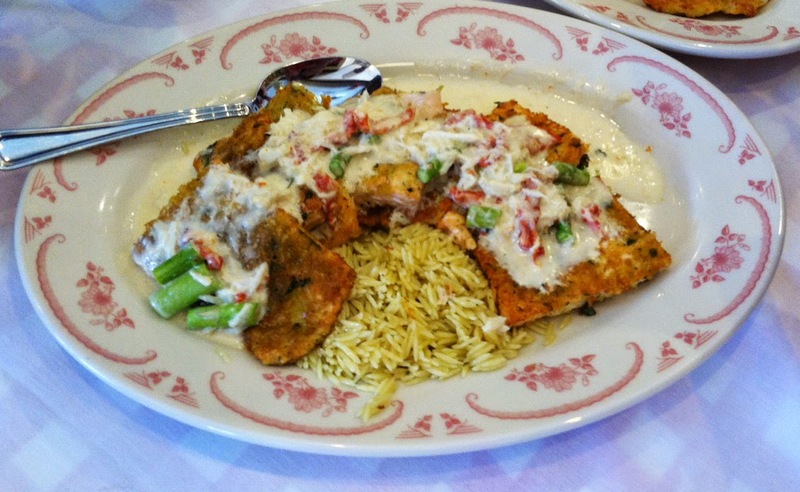 The last of our four entrees was a lightened version of chicken Parmesan. 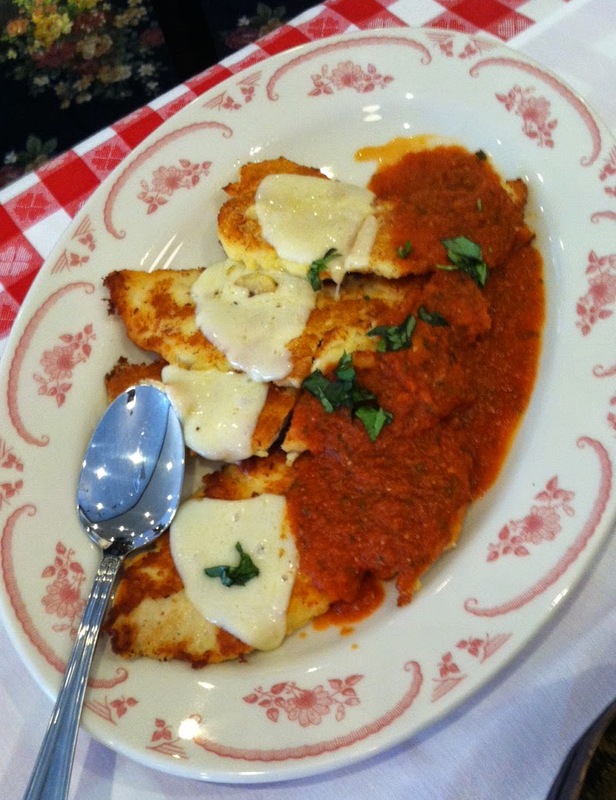 Rather than being deep-fried, the breaded chicken cutlets were baked before being topped with provolone cheese and marinara sauce. 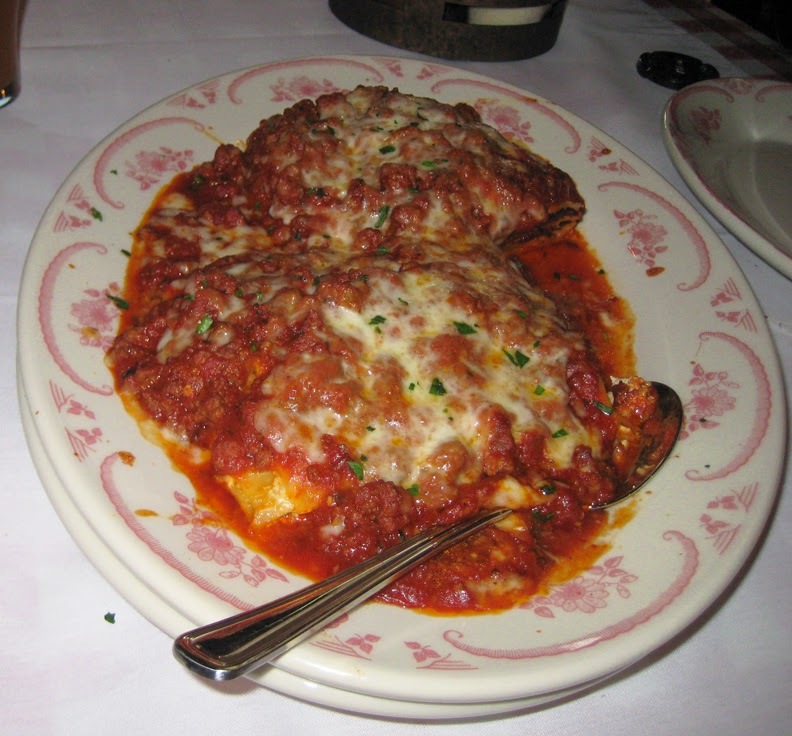 I always thought chicken parm should be pan-fried, not deep-fried, but I did enjoy the baked version. The sauce was flavorful, and there was plenty enough cheese to keep this dish out of boring "diet" hell. Rather than receiving two desserts to share (since there were too many of us), we were brought a mini dessert sampling that included an apple crostata, bite-sized versions of the chocolate zuccatto cake, pound cake with bruleed bananas, NY style cheesecake, and tiramisu. (Note: this sampler is on the regular dessert menu, but not on the family-style menu.) While I felt the icing-to-cake ratio in the zuccatti was too high, I enjoyed the rest of the dishes, especially the crostata, which is like a wee apple pie. Stuffed to the gills, we left Maggiano's pretty happy. Nice to know that there's one in the area. Now they just need to put one in Towson or Hunt Valley.